In this busy modern world, it’s important to be as efficient as possible. This means setting up your business so you’re able to focus on the things that really matter according to your priorities. Depending on your company, this might mean meetings, important discussions, brainstorming ideas, focusing on business growth, clients, customers, and new inspiration. Something you don’t want to have to worry about is all of your print and copy needs–this should be something that just runs smoothly like a well-oiled machine and without you having to spend your time and energy dealing with or thinking about. 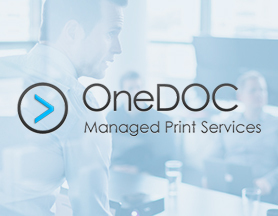 OneDOC Managed Print Services makes it our mission to relieve our clients of day-to-day print and copy worries, and get them set up to streamline efficiency and reduce costs as much as possible. This includes monitoring your supply levels for all your devices, sending you print cartridges in advance, having on-call certified technicians on the ready in your area for when you need them, and so much more. Managed print services are more than just shipping supplies to your company. OneDOC Managed Print Service consultants help you streamline the efficiency of your business as a whole, and lets you focus on the things that matter. We see incredible results time and time again. 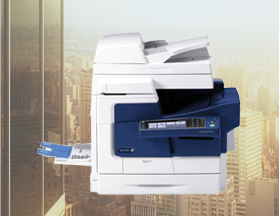 We can help provide you with the ultimate copier for your office needs. We are experts in our field and we know what works. Talk to us and we can assess what would work best for you and your office environment. We take your business to greater heights as we expand our product offerings with printers and multifunction units from Brother, one of the industry’s most trusted brands with a reputation for impeccable device quality, technological advancement, and cost efficiency. We know the importance of choosing the right printer for your office needs. Depending on what types of projects and documents you are working with on a daily basis, you may have particular printer needs. 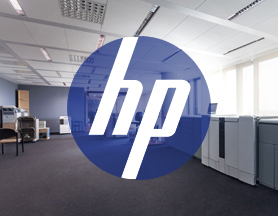 We at OneDOC can consult with you on the best HP printer for you and your office, whether it be color, black and white, multi-function or otherwise. Konica Minolta continues to be one of the highest regarded multifunction printer companies providing a customizable user experience. With an intuitive user interface and intelligent design, Konica Minolta offers easy operation for seamless workflow and productivity. 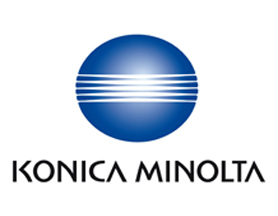 OneDOC is proud to offer Konica Minolta’s award winning multifunction printers as part of our product line. 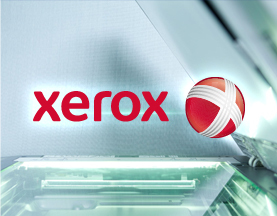 Xerox is one of the best copy and print companies out there. This is why we at OneDOC stand by this product. Talk to us about our Xerox copiers and printers and let us help you figure out the best product for your needs.